Warren Winiarski tells the story, almost 40 years later, and there is still enthusiasm in his voice. He was at his parents’ home on Chicago’s West Side when his wife called from California. “They had a tasting in France,” she told him on that day toward the end of May in 1976. “We won.” “That’s nice,” Winiarski says he told her, and then promptly forgot about it. 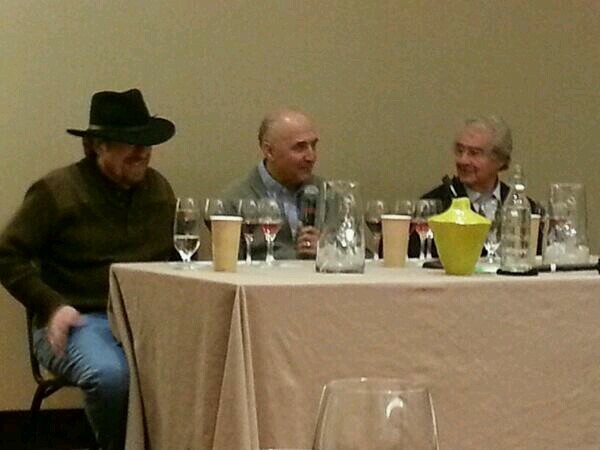 The audience at the Colorado wine seminar in Denver laughed. It’s not often that someone who was part of perhaps the most important event in U.S. wine history, the Judgment of Paris competition that acknowledged California wine to be the equal – if not better – of French wine, admits he didn’t realize what had happened. Especially since he made one of the wines that beat the French. The story, though, was about more than that. It was about the state of California wine in the early 1970s, when no one who mattered thought it was any good. Winiarski’s audience, mostly Colorado winemakers, understood, for regional wine faces the same problem today that California did four decades ago. Equally relevant: Winiarski had been a regional winemaker eight years before the Paris event changed the world forever. He was making wine in Denver for the long since gone Ivancie Cellars. Which is why Winiarski was in Denver that weekend, to reflect on that part of his life – first, at the seminar, and then judging at the Colorado Governor’s Cup competition – when, as he told the audience, he faced the same problems they do today: Resistance to wine made in places that aren’t supposed to make wine. Through all of this, it was about more than the master giving advice. It was history and winemaking and a little more history and maybe even a little genius. How often does one get to talk about painting with Michelangelo or writing with Hemingway? Winiarski is one of the handful of people who helped transform the California wine business from its regional roots, when it was not all that much different from Virginia or Texas today, to the world-famous and much admired region that it has become. He did it by focusing on varietal wines and especially cabernet sauvignon – almost unheard of in California 40 years ago, when carignan was the most widely planted red grape – and an attention to winemaking detail that has since become standard practice around the world. Yet before Winiarski put together enough money to buy the prune orchard that would turn into the world-renowned Stag’s Leap Wine Cellars and that would produce the Judgment of Paris cabernet, he made wine in Colorado. He was the winemaker at a smallish Napa Valley winery run by a young entrepreneur named Robert Mondavi in the mid-1960s when he was approached by Denver dentist Gerald Ivancie, who had an idea: Make wine in Denver using California grapes and spread the gospel of wine to the middle of the country. 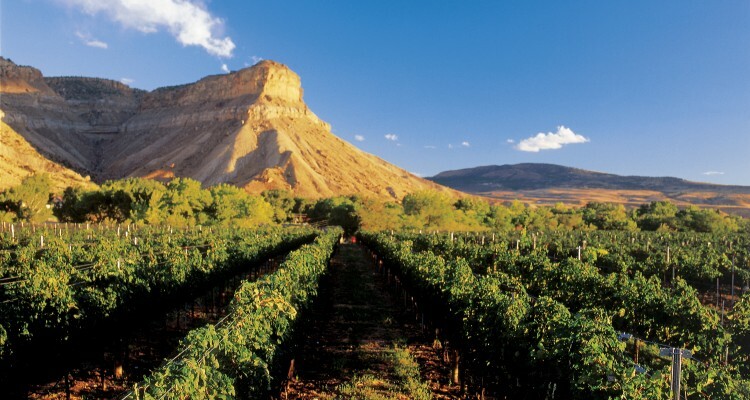 Because, save for parts of California, a couple of scattered big cities, and the northeast, wine was a novelty in most of the U.S. Ivancie Cellars would be the first commercial winery in Colorado since the end of Prohibition. 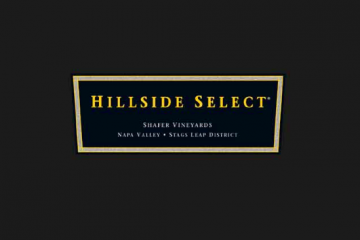 In this venture, Ivancie would handle marketing and promotion, while Winiarski would make the wine – buying grapes in Napa and Sonoma, shipping them to Denver, and crushing, fermenting, blending, and bottling there. It seemed, he said, a natural transition from what he had been doing for Mondavi, giving him more winemaking responsibility and more insight into what he would need to do when he eventually ran his own winery. He had started learning from Nathan Fay and Joe Heitz in Napa, men who saw a future for cabernet sauvignon at a time when few did. Two things happened with Ivancie over the next couple of years. First, the wine production process went more or less as expected, and the result was several vintages of well-received Ivancie Cellars wines (carrying an American designation, since AVA regulations were much the same then). The other was less expected: Not enough people noticed, and the winery would eventually close in 1974. Winarksi would leave several years before that, establishing Stag’s Leap in 1970. Through all of this, the audience at the seminar and the other judges at the other competition were paying close attention. Michelle Cleveland at Creekside Cellars, who brought a white blend to the seminar, nodded in agreement when Winiarski suggested co-fermenting the grapes for the next vintage. Jackie Thompson from Boulder Creek Winery, who wanted Winiarski to taste her first-ever and just bottled Tempranillo, was all smiles when he said the wine, though still very young, had potential to not only age well, but to become a great wine. 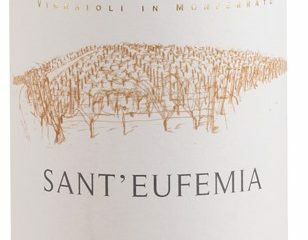 Winiarski was impressed with the quality of the wines, especially since there had been almost no vinifera in Colorado when he had worked for Ivancie. He saw potential, he said, and especially since the state’s winemakers had sourced grapes locally this time. 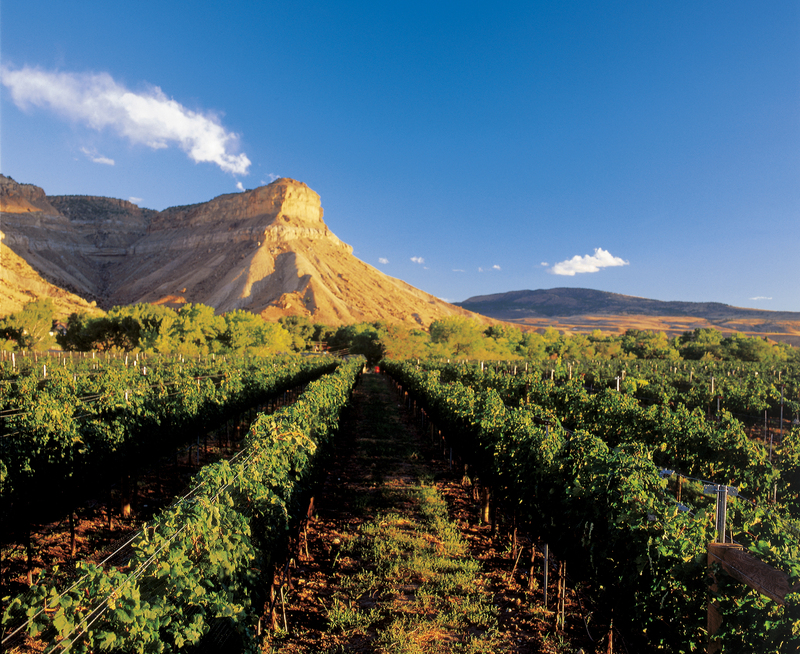 Grapes grow under the mesa in Palisade, Colorado. Even someone like myself, who has tasted and judged regional wine for two decades, learned a thing or two the next day at the Colorado Governor’s Cup wine competition by watching Winiarski work. What was the winemaker trying to accomplish? Did he or she accomplish it? How did they try to accomplish it? What can we tell the winemakers with our decisions as judges so they can make better wine? That was a refreshing approach for someone who often despairs for local wine after yet another flight of over-oaked and too often oxidized regional chardonnay. Through it all, Winiarski stuck to the philosophy that has turned out world-famous wine for almost 40 years – finding balance and harmony between the diverse elements of wine, and always asking questions. The thing that stuck with the audience? That Winiarski has answered those questions successfully for almost half a century, and that his passion for quality and elegance (ask him about the post-modern school of winemaking, where alcohol and fruit matter most if you doubt that) remains as strong as ever. Even if he originally didn’t think all that much of winning the Judgment of Paris.